Schoeni Art Gallery in Hong Kong will launch a satellite project called Adapta which is in collaboration with UKAdapta from London. 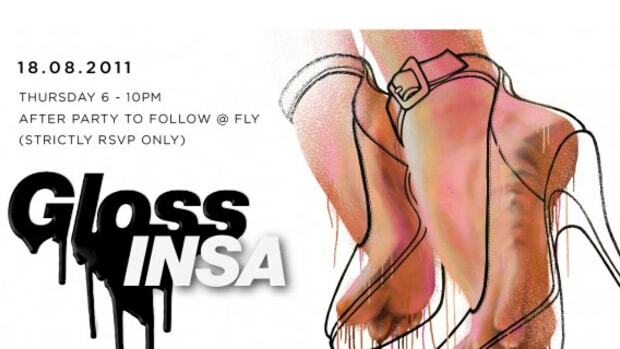 This project aims tofocus onthe art formswe know best, often coined as&apos;urban&apos; art, and to showcase works from this genre to theHong Kong public. 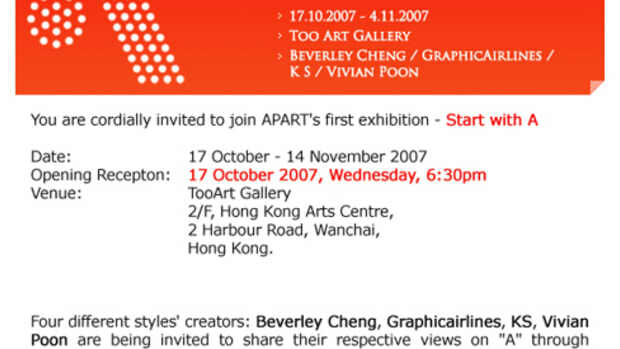 Adapta&apos;s first project will be held in November2008, with a launch exhibtion in Hong Kong called Attention Spam. In this day and age, visual media plays an indispensible role in everyone&apos;s lives, almost to a point of saturation. One could consider it as visual spam. For this exhibition Adapta has filtered through the multitude of visual pollution to showcasefive UK contemporary artists Cyclops, D*Face, David Bray, Vesna Parchet and Word To Mother. 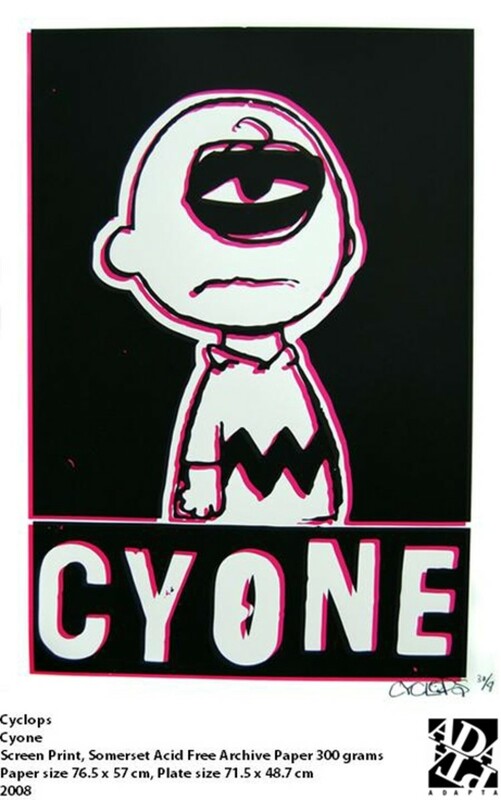 Cyclops: Cyclops is an artist under the name of Luc Price, whose works can be found predominantly on the street as well as finding its rightful place in galleries. 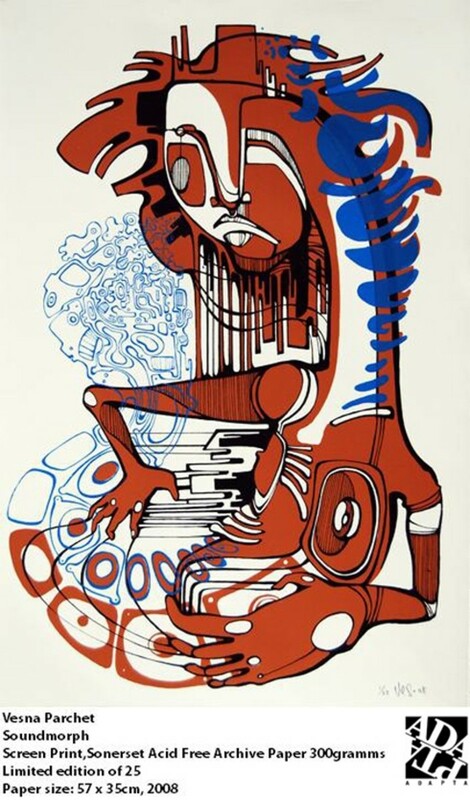 His iconic works can be identified from Manchester, Bristol to London. Price&apos;s tribal fury combined with photo realistic imagery creates an impressive style of his own. He creates various characters from frenzied faces that survive in sync in the chaos of a woman&apos;s hair to drone-like Cyclops - a member of a primordial race of giants, each with a single eye in the middle of its forehead from Greek mythology - whose presence becomes transcendent as Renaissance-like or saintly halos hanging overhead. David Bray: David Bray graduated from Central St. Martins, London with a degree in Graphic Design in 1992 and has been a freelance illustrator since 1996 where he has developed an extensive portfolio of clients, including Harvey Nichols, MTV, Various Production, PUMA, H&M, Vodafone, BBC Television, etc... His compelling works reveal his lifetime love of drawing and an active imagination. Bray creates intricate, time-consuming drawings, which explore emotion, utopia and a world of fantasy, mainly taking women and animals as his motif. A sense of continuity and evolvement within the creative process can be seen in Bray&apos;s series. D*Face: He completed a degree in Illustration and Design and worked as a freelance illustrator/designer at an agency whilst honing his street work. 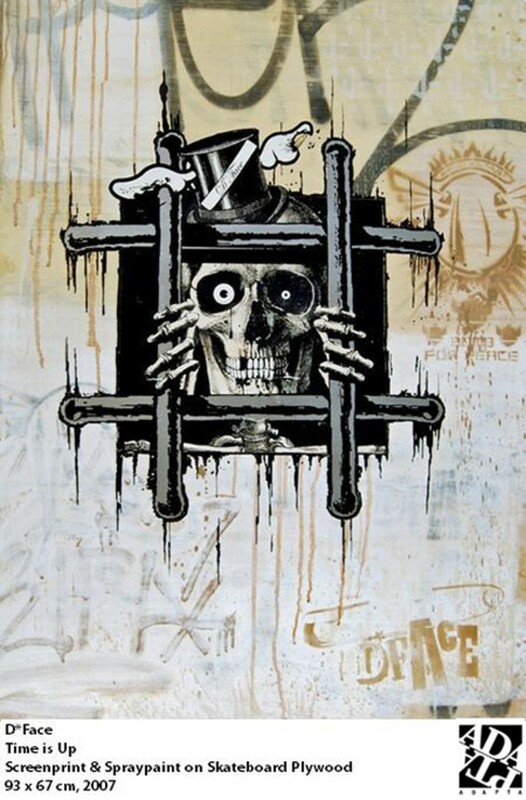 D*Face is the owner of Stolen Space Gallery, which has been at the forefront of the London contemporary art scene for the past few years. His aim is to encourage the public not just to &apos;see&apos;, but to look at what surrounds them and their lives. One of D*Face&apos;s most celebrated icon is the D-Dog, a bomb like figure with two tiny wings on the sides. Recent examples of D*Face&apos;s satirical and dark humour include his chosen "collaboration&apos; with H.R.H Queen Elizabeth II on a series of bank notes and the portrait of Pope Benedict XVI to commemorate his instatement. 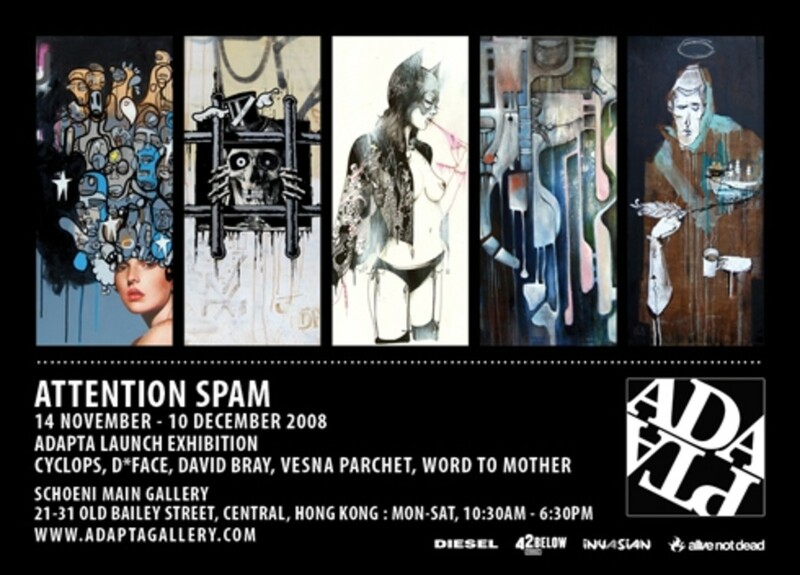 Vesna Parchet: Vesna is the only female artist in Attention Spam exhibition. Being of German origin, she was born and raised in Tokyo, Japan until the age of ten. Her artistic training includes a BTEC Foundation Studies in Art & Design and a National Diploma in Printmaking at London College of Printing. For Vesna, "art is a reflection of life observations after all", therefore she took 3 years time to travel around the world with the aim to enrich her life experiences. 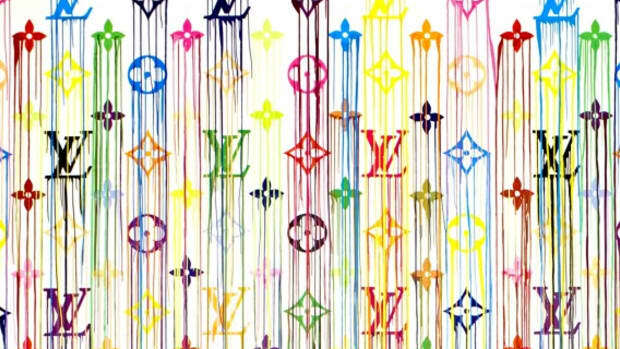 Cultural diversities and social backgrounds have always fascinated the female artist, being an important inspiration on her current work. 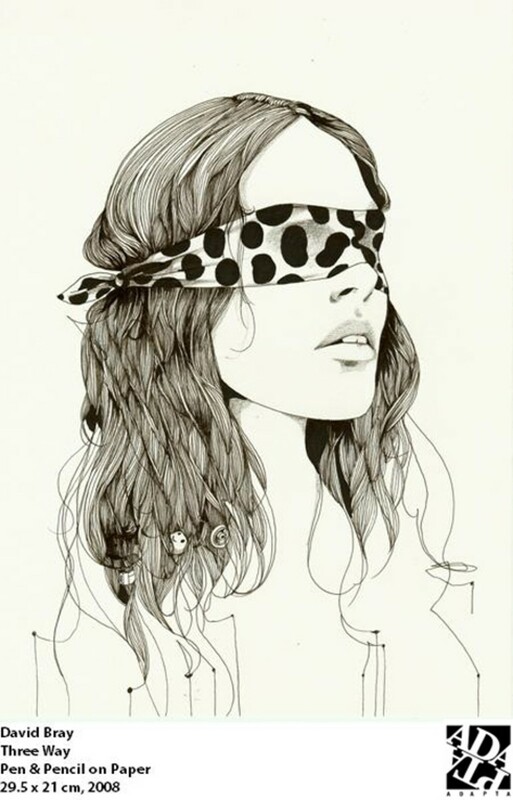 Her artwork demonstrates a growing metamorphosis of her motif. Many of Vesna&apos;s pieces express an almost abstract futuristic sensation because of her intention to portray the changes in society and surroundings in relationship to humans, their nature and their behaviour. Word To Mother: Word To Mother is an English born artist who attended art school and studied illustration, beginning his artistic career in graffiti. 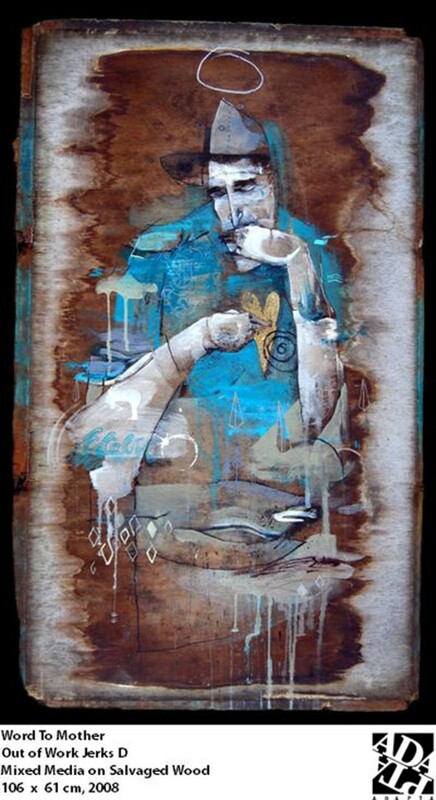 Each piece, often painted on wood which he collects at random, looks like it took years to evolve as his unique layering skills meld to one another effortlessly. His sophistication in layering technique brings complex texture into his pieces, and each of them evokes a feeling of sentimentality and recollection. 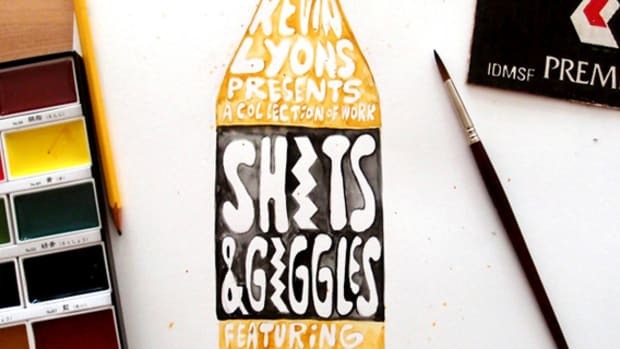 Inspired by social observation and nostalgic advertising, his relentless sketch book doodling has yielded some of the most inspiring drawings and paintings of the urban art scene. Word to Mother&apos;s pieces reflect the artist&apos;s sensitivity towards life and its environment.